On Monday, August 13th, 2018, skeleton remains were found during residential development on Hawthrone Road in the Shinnecock Hills. 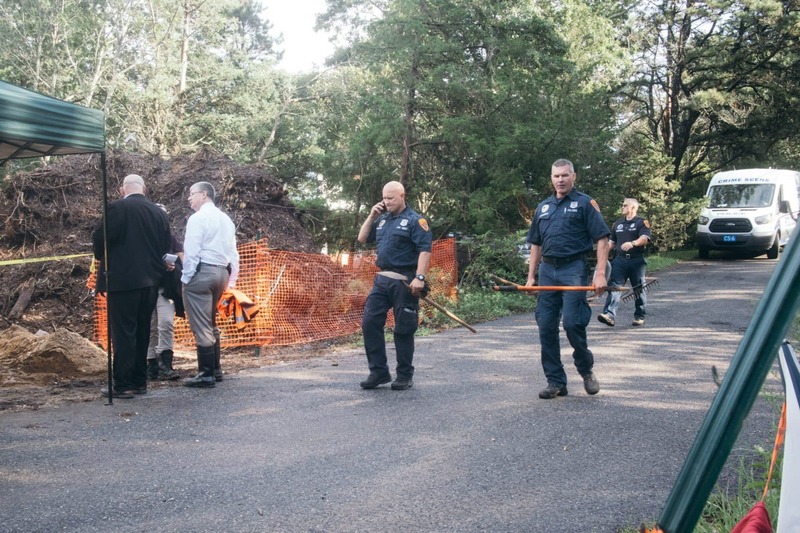 The developers and homeowners contacted the Southampton Town and Suffolk County police department, who quickly disturbed the ground further for evidence of recent criminal activity. Along with human remains, a glass bottle from the 17th-century contact period was found, indicating a likelihood of the remains being of Native American descent with burial offerings. The Shinnecock Indian Nation arrived on the site soon after the detectives with the goal of overlooking the development. If the remains are from Native descent, the tribe encourages the town to use it’s Community Preservation Fund to preserve the lot and respect the burial. UPDATE: THURSDAY, 11:15 a.m.On Thursday morning, Mike White, who is working with the property owner of 10 Hawthorne Road in Shinnecock Hills where skeletal remains were found on Monday, denied saying that the medical examiner told him that the remains were not of Native American descent. He claims that the medical examiner told him that the medical examiner’s review of the remains were found to be inconclusive and could have possibly been a white male, or early settler. The Shinnecock Indian Nation Tribal Council met on Tuesday morning to discuss seeking a federal injunction against the Southampton Town and Suffolk County police departments to keep them from disturbing the site of the discovery of human skeletal remains at a construction site on Hawthorne Road in Shinnecock Hills on Monday. Later in the week, Shinnecock leaders said the injunction wouldn’t be necessary after property owners agreed to wait for results on testing to determine if the remains were Shinnecock. The council was expected to meet on Wednesday to discuss hiring an archaeologist to examine the site. According to Tribal Trustee Lance Gumbs, police investigators were not following proper state and federal protocols for Native American sensitive sites and repeatedly denied his request to order the private work crew at the site to stop digging. The remains, found buried on a wooded lot slated for private development at approximately 1 p.m. on Monday, were taken to the Suffolk County Medical Examiner’s office to be studied by an anthropologist, who would determine the estimated age of the bones, according to Detective Sergeant James McGuinness of the Suffolk County Police Department. On Wednesday, officials said they had determined that the bones were at least 50 years old, but could say little else about the remains. Det. Sgt. McGuinness said if the remains are found not to be related to a criminal act, they would be returned to the Shinnecock Indian Nation. When reached on Tuesday, Mr. Gumbs argued that the bones could possibly belong to that of a 17th century Shinnecock Indian tribal leader, noting that they were discovered along with a flask. However, Michael White, who is partnering with the property owner, said on Wednesday that he had been told by the medical examiner that the remains were not of Native American descent. “Definitely not a Shinnecock ancestor,” he said. Mr. Gumbs disputed the claim, and said he continued to believe the remains were Shinnecock, noting that the anthropologist’s review was inconclusive in determining ancestral origin. He added that the Southampton Town Board has routinely ignored the Tribal Council’s request to implement stronger laws against excavating sacred sites to protect them. Southampton Town Supervisor Jay Schneiderman said on Wednesday that the Town Board recently met with several members of the Shinnecock Indian Nation to discuss setting aside monies in next year’s budget to put regulations in place. 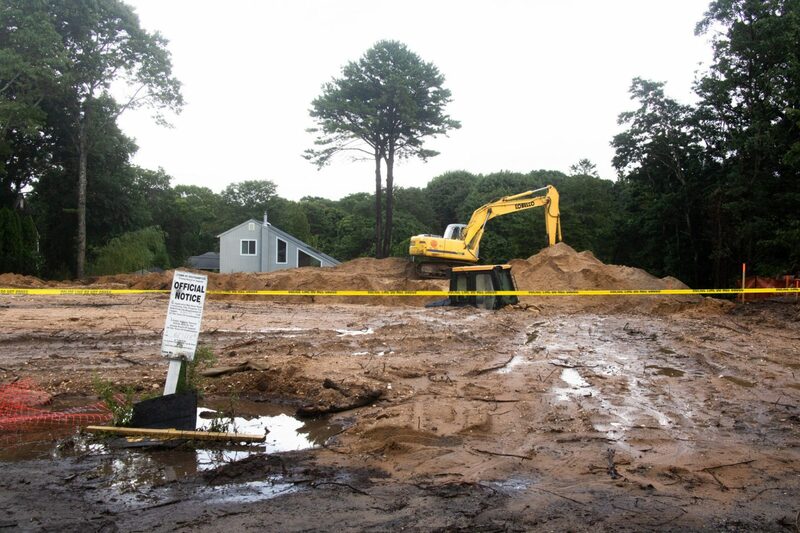 Similar to the Town of East Hampton’s protocol, the Town Planning Board would map out sensitive sites throughout the town and would require, prior to construction, that an archaeological review be completed. He added that an archaeologist would walk the site to look for clues indicating burial sites, such as stone circles or mounds. “That would be very valuable,” he said. As of August 17th, the town of Southampton has expressed support in using its Community Preservation Funds to purchase the lot after assessment of the lot’s value. On September 4th, a GoFundMe was created to raise funds for a remaining 50.000 needed to restore the lot. “URGENT! PLEASE HELP PROTECT AND PRESERVE ANCESTRAL GRAVE! On August 13, 2018, we witnessed firsthand the desecration of a Shinnecock Indian ancestor’s grave and we were helpless to stop the digging and raking of bones initially deemed by local law enforcement to be part of a crime scene. This tore at our souls and we could only offer songs, blessings, and prayers to heal our ancestor and ourselves. Our ancestors rest in the Shinnecock Hills—their graves facing west, so they may enter the spirit world through the sunset with ease and join the Creator. Our elders have always asked us to protect our land and protect our ancestors’ burial sites. In this way our next generation may know where we come from and that they walk in the footholds of their ancestors who sacrificed everything for our survival. Now, we cannot protect and preserve that which is sacred without your help. We have now confirmed that $50,000 must be raised for the Shinnecock Indian Nation to pay for the reburial of our ancestor’s skull, bones, and glass bottle unearthed on August 13, 2018 as well as site restoration at 10 Hawthorne Road in the Shinnecock Hills. Originally, the Nation was told we would need to pay $185,000 for various costs. We are so grateful that the Property Owner and the Town of Southampton have graciously met with us and in good faith agreed to limit the Nation’s contribution to $50,000 for the purpose of site restoration today, on September 7, 2018, in a meeting with Town Supervisor Jay Schneiderman. Please support the Shinnecock Indian Nation in raising $50,000 as an immediate need to preserve and protect our ancestors’ sacred burial site. If the goal is surpassed, the funds will go toward future preservation and long-term stewardship efforts for ancestral grave protection. For decades, we have pleaded with the Town of Southampton, Suffolk County, and State of New York to enact legislation and adopt protocols to prevent the desecration of ancestral graves. New York does presently have clear individual protections in place for graves found on private land unlike the policies of 46 other states. The time is now for us to achieve our elder’s directives and we hope you can join us. Tábūtní (Thank You).